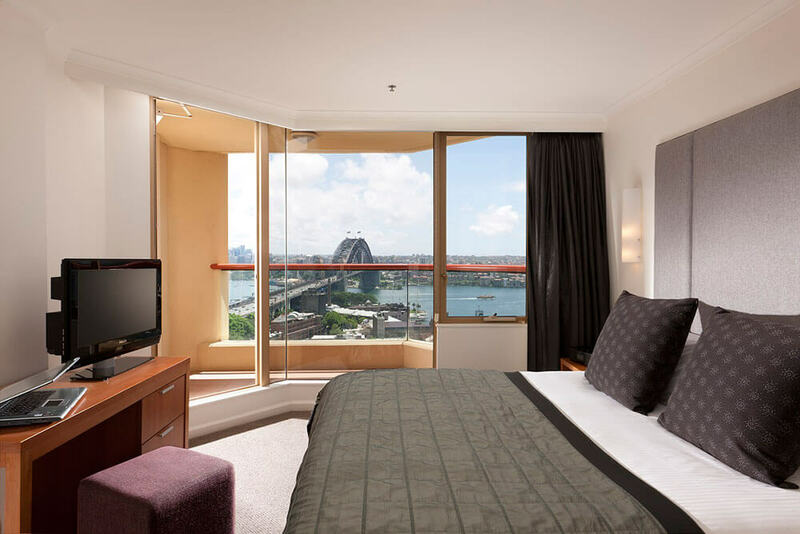 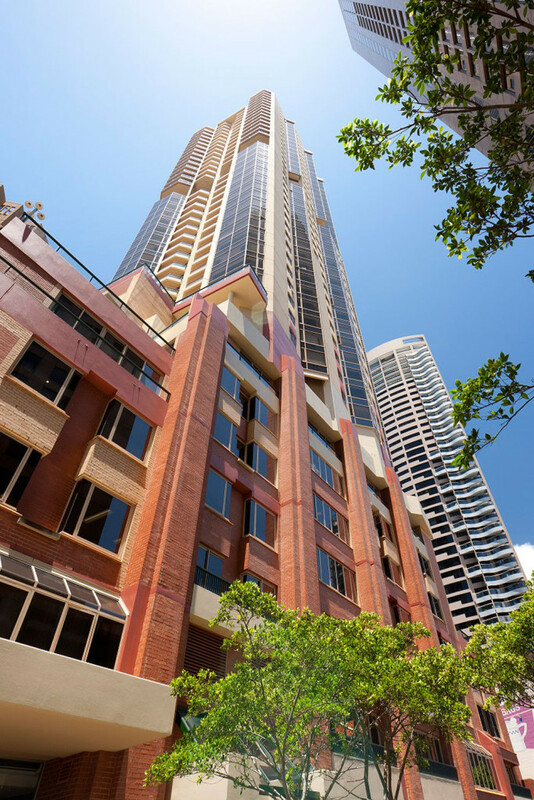 The Quay West Suites Sydney is a four and a half star all-suite hotel with spectacular views over Sydney Harbour, the Harbour Bridge, Opera House and the Sydney CBD. 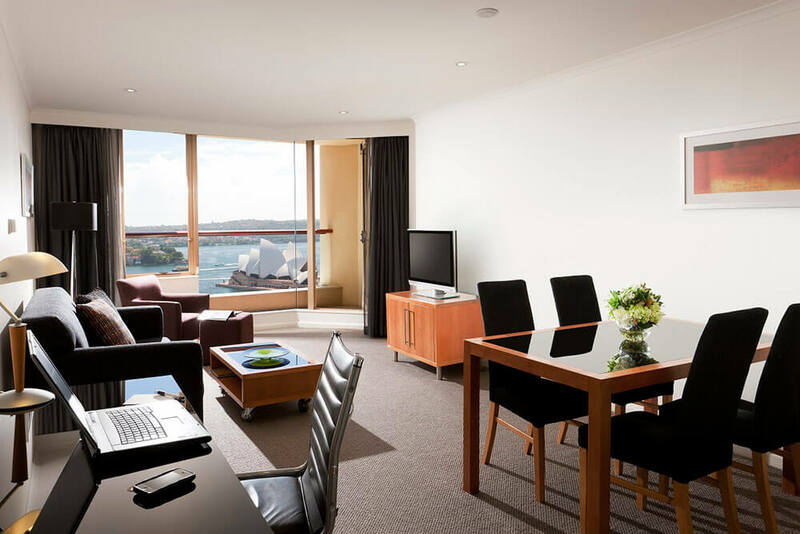 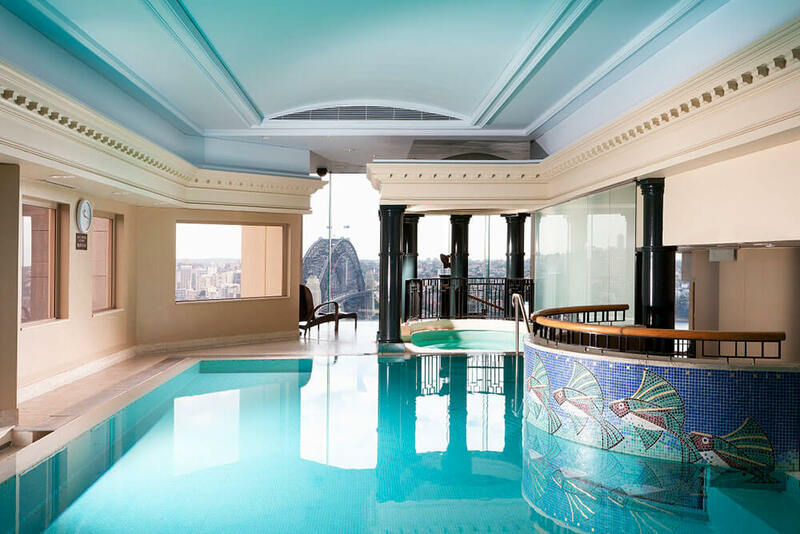 The hotel has central location adjacent to The Rocks and close to Circular Quay and offers excellent services and facilities including a Roman style indoor heated pool, spa, sauna, open sundecks, fully equipped gymnasium and a recreation facility located on the 24th floor with stunning harbour views. 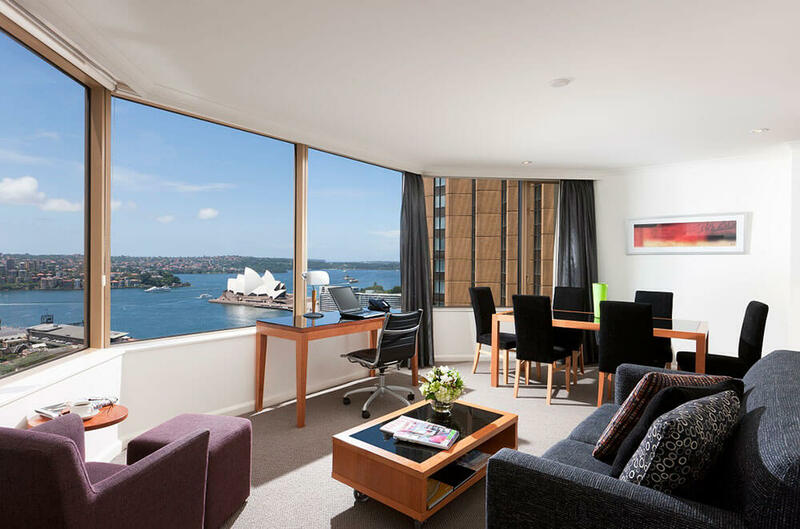 The hotel features One and Two Bedroom Suites, all boasting fully-equipped kitchens, laundry facilities, separate lounge and dining areas, balconies, some also sensational Sydney Harbour views. 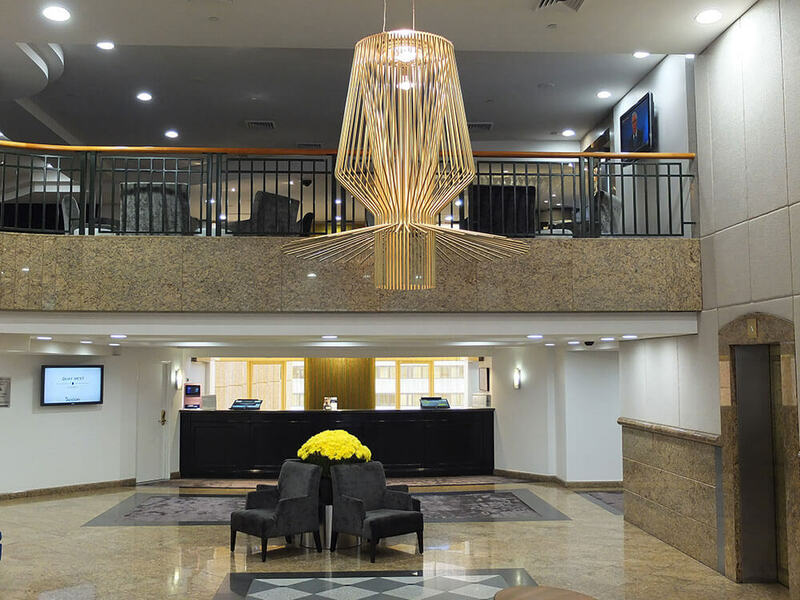 Located on the mezzanine level, Harrington Restaurant provides a warm and relaxing atmosphere where you can enjoy contemporary Australian cuisine without having to leave the hotel. 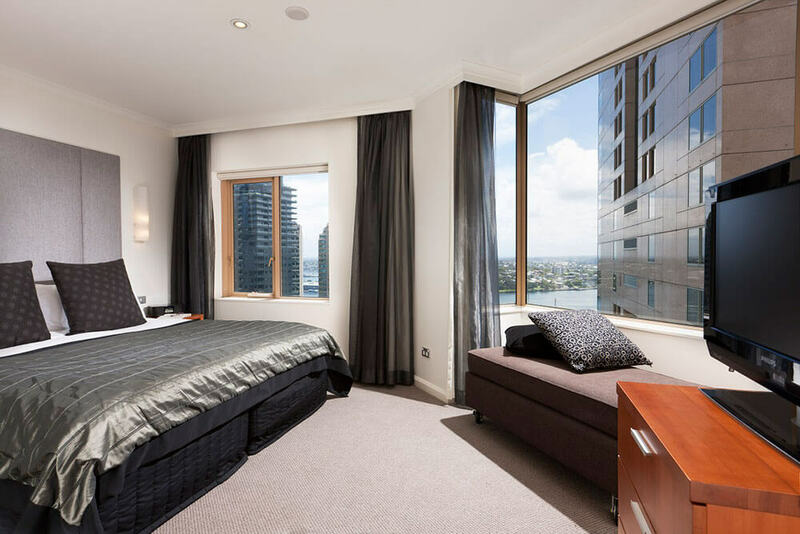 Harrington Bar offers a casual ambience and club lounge comfort where you can enjoy light meals and snacks, coffee or a cocktail.